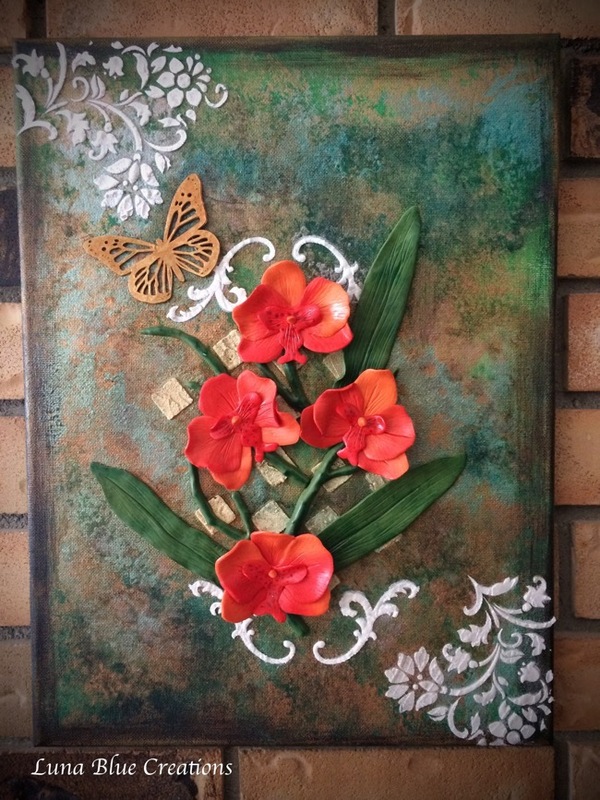 “Phalaenopsis” Mixed media Wall Art, Polymer Clay On Canvas. 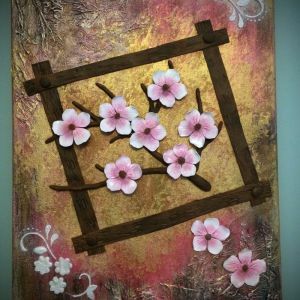 Canvas size 16 x 12. 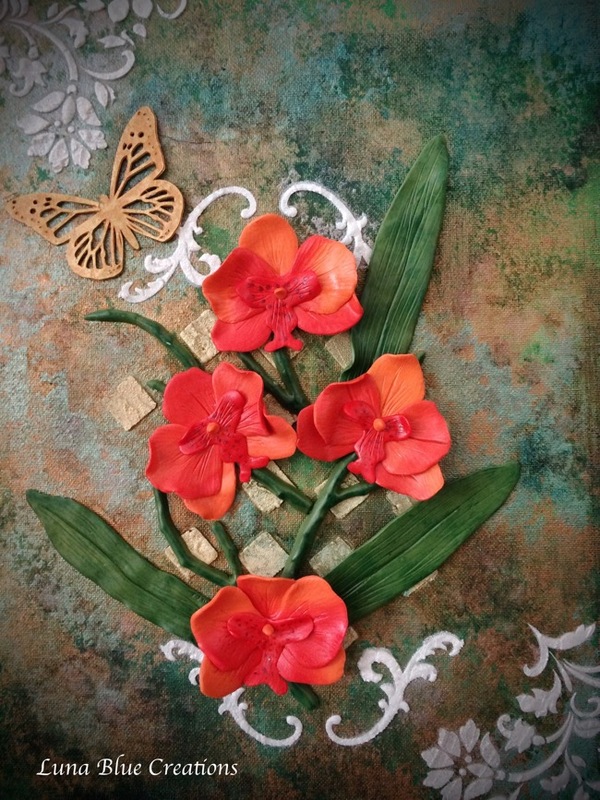 Flowers are skinner blend of orange and red polymer clay. 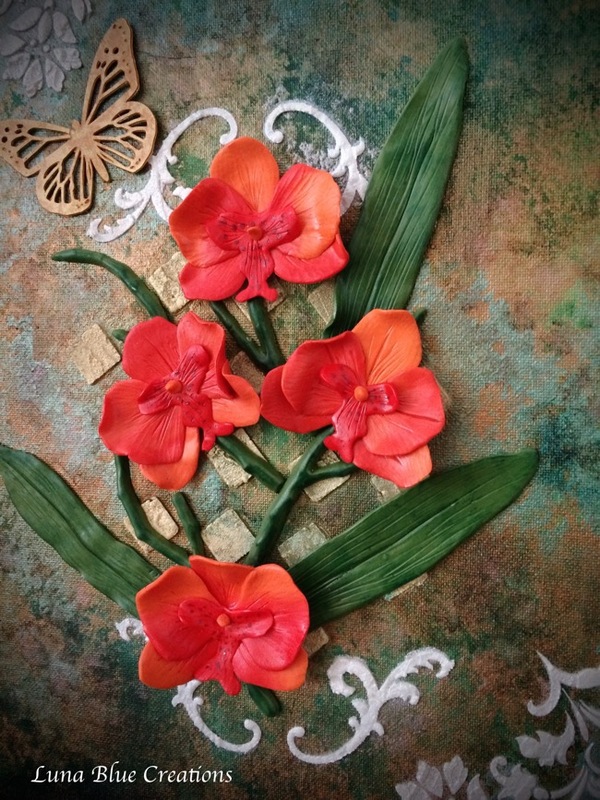 Branches and leaves are also made of polymer clay. 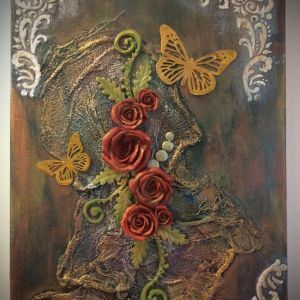 Background colours are mixed media with acrylic paint, viva inca gold, lindy stamp gang spray, texture paste and embossing powder.